Pepper has been used as a spice in India since prehistoric times. Pepper is native to India and has been known to Indian cooking since at least 2000 BC. 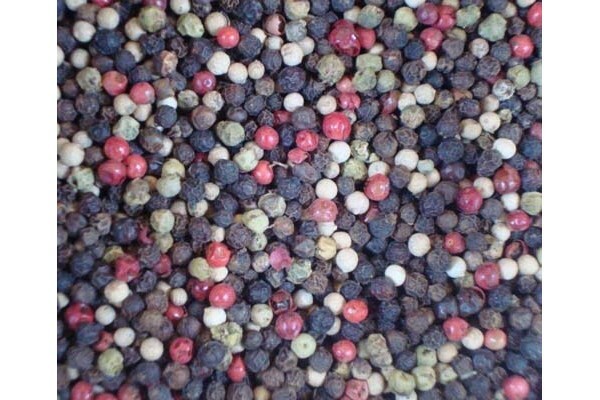 Peppercorns were a much prized trade good often referred to as "black gold" and used as a form of commodity money. The term "peppercorn rent" still exists today. Pepper loses flavor and aroma through evaporation so airtight storage helps preserve pepper's original spiciness longer. Pepper can also lose flavor when exposed to light which can transform piperine into nearly tasteless isochavicine. Once ground pepper's aromatics can evaporate quickly; most culinary sources recommend grinding whole peppercorns immediately before use for this reason. Handheld pepper mills (or "pepper grinders") which mechanically grind or crush whole peppercorns are used for this sometimes instead of pepper shakers dispensers of pre-ground pepper.